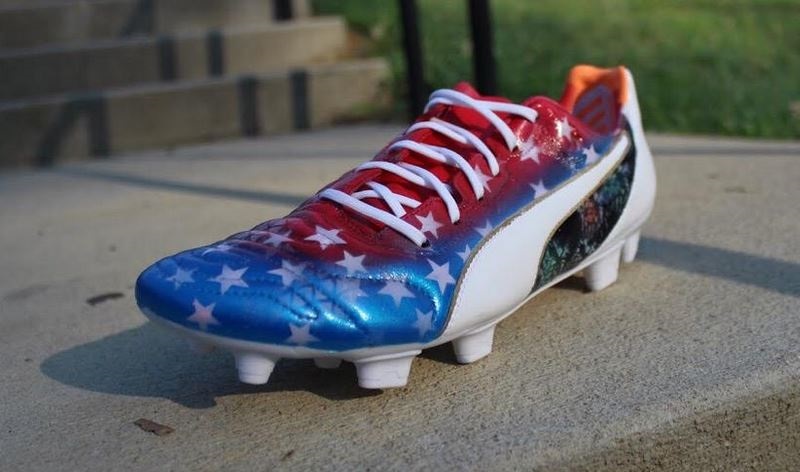 Earlier today, Kickasso revealed his latest United States “Flags and Fireworks” Kustom boots and they are very dashing and unique. But unfortunately, with very exclusive and limited availability, many of us will not be able to get U.S. gear as sweet as those boots to celebrate the USWNT’s trip to the World Cup final and the 4th of July! So, to help bring a patriotic touch before Independence Day, we take a look at some of the best United States gear available on the market. 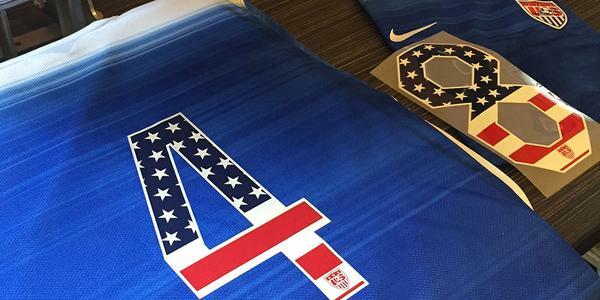 Set to be worn by the USMNT tomorrow against Guatemala in Nashville, the Limited Edition Independence Day Jersey features a special Stars and Stripes design on the numbers to represent the American Flag. Only 500 mens and womens jerseys are available for purchase and the customization is available with a $125 price tag, meaning you can customize the name and number on the official jersey! While the Nike “Women’s World Cup Pack” editions have been dominating the artificial turf fields of the World Cup, the boots that have stood out most to me are actually the boots worn by Kelley O’Hara and Lauren Holiday. The USA Edition of the UA Clutchfit Force features the classic striped design of red, white and blue. 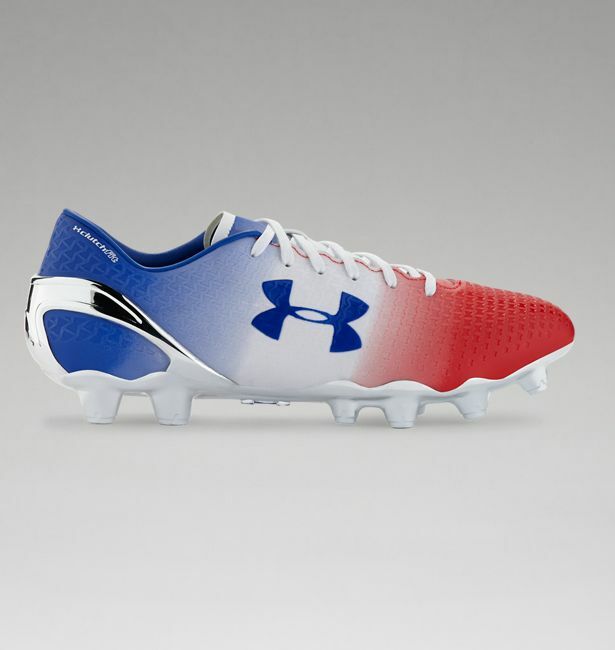 The boots blend well with the United States’ uniform and look amazing on pitch! Find everything Clutchfit at soccer.com, listed for $174.99. If you really want to be patriotic, then you should invest in a pair of USA Mercurial Lite Shin Guards! They feature the United States Soccer crest on the front, and although they aren’t seen as they are covered by socks, its the dedication that matters! 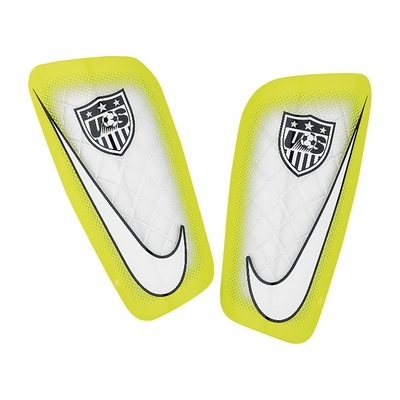 Find these guards at soccer.com, listed for $24.99. What gear will you be sporting to celebrate Independence Day? Let us know in the comments below!